Welcome to your dream Kyoto abode. 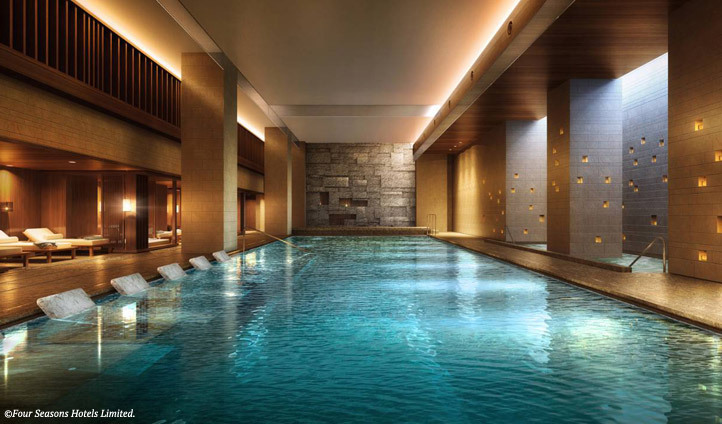 A winning combination of ancient Japanese interiors and contemporary Four Seasons service, this intimate hotel captures the evocative essence and grand designs of this former Imperial capital city. 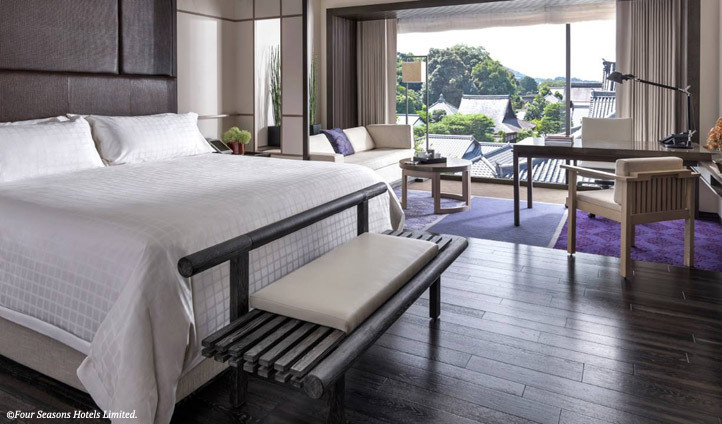 Nestled within Kyoto’s temple district, at the Four Seasons you’ll find yourself moments away from some of Japan’s most spectacular temples, shrines and gardens. With over fifteen UNESCO World Heritage Sites on your doorstep, prepare to travel back in time as you drift through the narrow lanes of nearby Sannen-zaka district, lined with tea houses, and tour ancient temples ablaze in autumn reds or swaying cherry blossoms in spring. 123 elegant rooms and suites make up this Four Seasons sanctuary. All are spacious and successfully bring minimalist Japanese design to life. Many furnishings are creations from local Japanese artisans, including the urushi lacquerware and the washi-paper lamps. We also promise you that their views won’t disappoint—each enjoys stunning scenes across the hotel’s Shakusuien pond garden and over to the distant Higashiyama Mountains. Boasting its own 800-year-old ikeniwa pond garden and a chashitsu tea house—this hotel is the magic of Kyoto in microcosm. Except of course that you’ll have everything (almost) exclusively to yourself. Make sure to squeeze in some private tea ceremony lessons or sake tasting and get ready to find that all important Kyoto Zen.